The original recipe included almond extract, which I’m not keen on. Leaving it out and adding more vanilla and a hint of warm spices worked very well. Preheat your oven to 175°C (350°F). Grease and flour a 23cm (9 inch) baking tin (loose-bottomed if you have one – I didn’t). Whisk 200g sugar and 25g vanilla sugar (1 cup altogether) with 2 eggs until creamy. Add 1 tsp vanilla extract. Fold in 125g (1 cup) sifted flour, a pinch of salt, 1/4 tsp cardamom and 1/4 tsp cinnamon. Melt 110g (1 stick) butter and stir it into the batter. 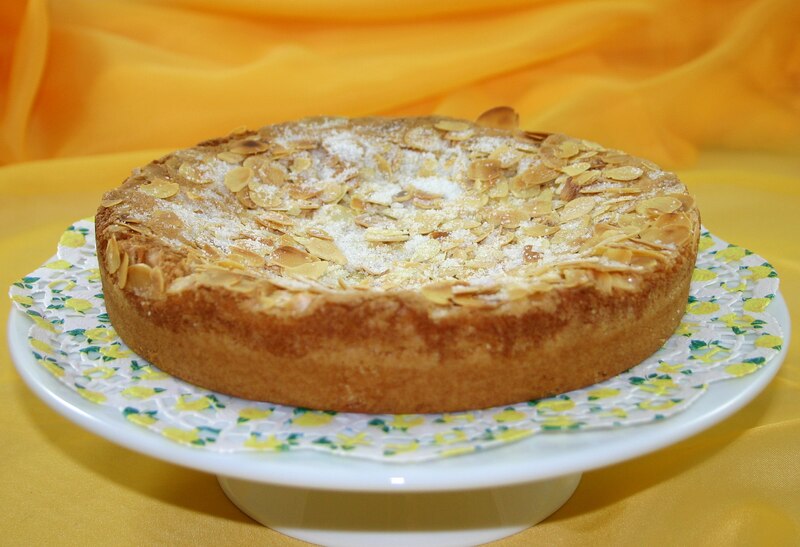 Pour into the baking tin and sprinkle with about 50g (2 oz) almond slices and 1 tbsp vanilla sugar. Bake for 25-30 minutes. Leave to cool before removing from the tin, or serve warm – directly from the tin. This entry was posted in Food, Herbs & Spices, Recipes and tagged Food, Recipes, Spices, Vegetarian. Bookmark the permalink. What a lovely cake to serve with a hot cup of coffee. Just your describing it, I can smell the delicious aroma of vanilla and toasted almonds float across the ocean all the way up the steps and down the hallway to my office. If I could I would! Have a great week! Yes, I would think that you’d get a load full of brownie points (or coffee cake points?) for serving this gorgeous cake! I can’t imagine a better treat to have with a cup of coffee. Thanks for the recipe! Are you on Pintrest? It would be a great recipe to post if you are! 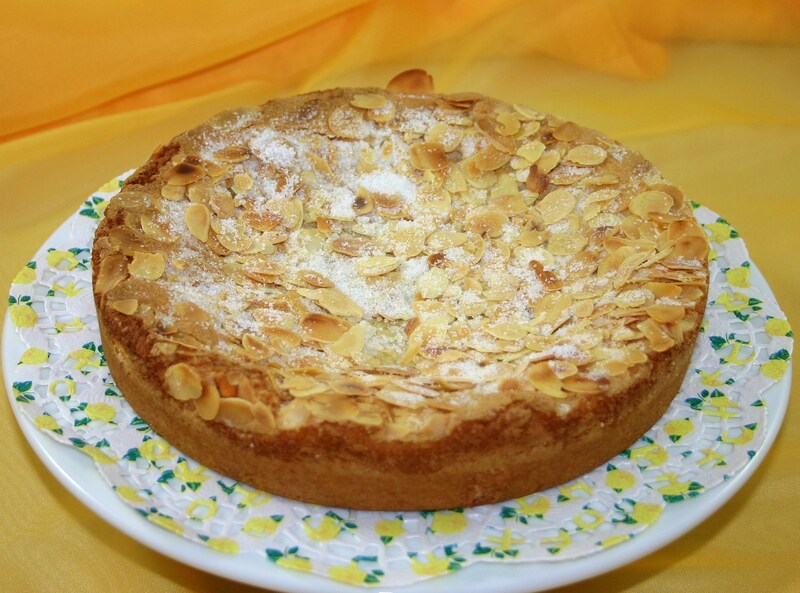 I adore almond in cakes! What a scrumptious treat! At first view I thought the napkin has swedish colours (yellow-blue). Now I see, there are Roses on it. 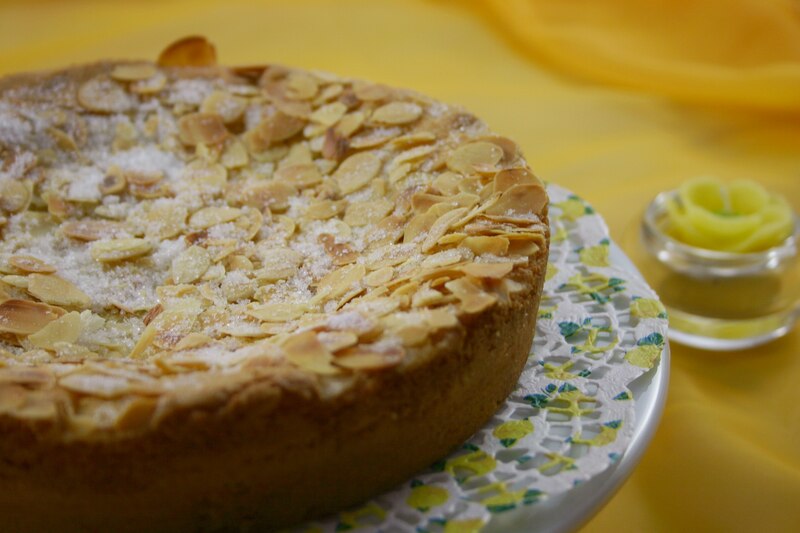 The cake has all ingredients I love: Cardamom, almonds and almond extract! Hi Uta – we have been lucky so far, but the snow is coming our way in the next few days. Keep smiling – it can’t be long till spring really does arrive! I´m sure this “Swedish Visiting Cake” tastes as delicious as it looks. I especially like vanilla and the almond slices on the top. Thank you Elisabeth – it’s a photo from last year. (I have seen one butterfly, but not the tortoiseshell here). What a lovely comment! It does look pretty, and is so simple to make too. This cake looks wonderful, a good blend of sweet with buttery. Thanks – and thank you for stopping by! That looks wonderful to serve with coffee, will be trying it this week! Cathy, I have made this recipe several times now! We love it with coffee! Thanks for sharing! Thanks – and good of you to stop by!